72 Translucent Lacing Geometrics in 6 colours: 6 each of flowers, hexagons, triangles, circles, hearts, rhombi, octagons, squares, 9-point stars, pentagons, rectangles and 5-point stars. Approx. 52mm dia. 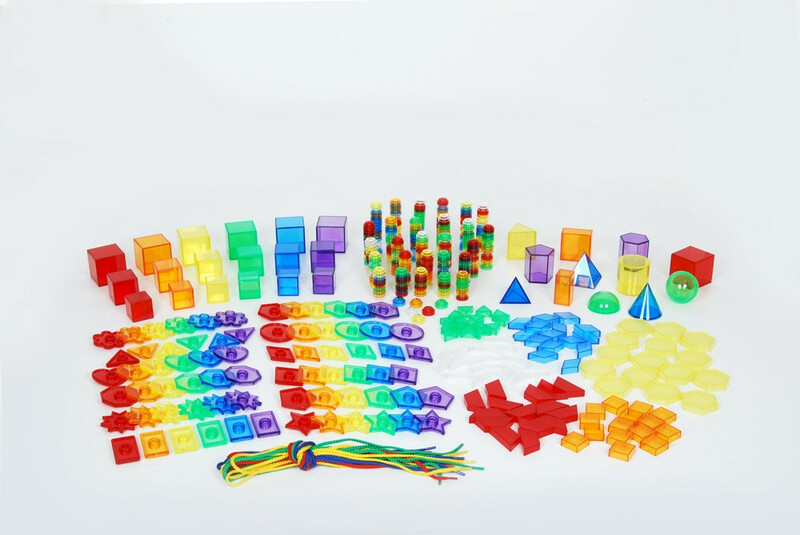 90 Translucent Hollow Pattern Blocks in 6 colours: 15 each of hexagons, triangles, rhombi, squares, regular and irregular quadrilaterals. Largest block: 50mm. 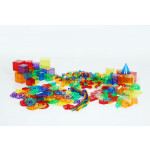 12 Translucent Cubes in 6 colours: 4 each in large, medium and small sizes. Largest cube: 50mm. 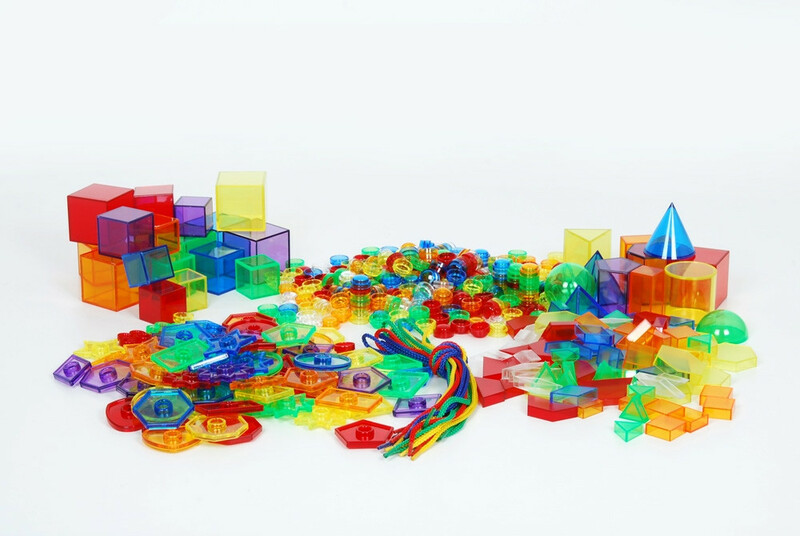 12 Translucent Geometric Shapes in 6 colours: sphere, semisphere, cube, cone, triangular-based pyramid, square-based pyramid, triangular prism, 2 rectangular prisms, pentagonal prism & hexagonal prism. Approx. 50mm. 300 Translucent Stackable Counters in 6 colours: 50 in each colour. 20mm dia. 12 Laces in 4 colours. Length: 600mm. Pk498. Colours are red, orange, yellow, blue, green, purple and clear. Size of large cube: 48mm. Lace length: 600mm.